Beyer Carpet Cleaning provides the best carpet cleaning in San Antonio. 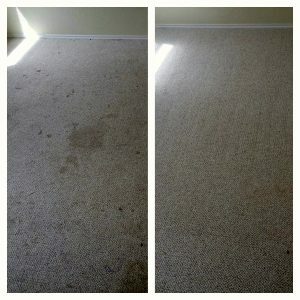 Carpet cleaning is not just something you do to remove stains, smells, and spots to make your carpets look pretty again. It is something you do for your health, for your pride, and your overall cleanliness. Did you know carpets are full of bacteria, germs, allergens, and dust? These things are harmful to you and your families health. Sicknesses can spread so easily through out the home and one way to help prevent this is by having your carpet cleaned. At Beyer Carpet Cleaning they use hot steam at 210+ degree to kill these germs and bacteria. Their powerful machines will kill and remove just about anything that is living in your carpets. Carpet cleaning is important to have done at least twice a yea or every three months in order to prevent the build up of germs, bacteria, dust, and allergens in your carpet. Steam cleaning will sanitize and make you better about the home you are living in. Carpet cleaning is not just for looks but it is for your own health. With all the sicknesses going around right now it is the time to have your carpets cleaned. It can be embarrassing when guest are over and you have big stains, small stains, noticeable on your carpet. You blame the stains on the kids and their messiness but it still feels embarrassing to have people over and expect them to set on your dirty couches or carpets. Who wants to set on something that looks dirty and has stains on it? No one does. Maybe it’s because of the way your carpets look you don’t want to invite anyone over to your home. Whatever the situation is stains on the carpet is no fun and embarrassing. So before you have any guest over call Beyer Carpet Cleaning. They will remove those embarrassing stains for you, no problem! Once they are done cleaning your carpets you will feel pride and excitement about your carpets. You can’t wait to have guests over so you can show off your beautiful carpets. Have pride in the way your home looks. Feel comfortable having guests in your home sitting and walking on your carpets. Don’t wait until a friend or family member makes a comment about how dirty your carpets look. Have your carpet cleaning done today. Overall cleanliness is something that is important to up hold especially in your home. We don’t want our children to be messy when they are adults so we enforce certain standards and rules for them to follow. This brings structure and discipline which is needed in every child’s life. This also provides a clean and safe living area for your family. When food is left out it can attract ants, other bugs and rodents. Who wants to wake up next to a furry rat or mouse? No one does. This is why you have rules to keep order and cleanliness in your home. So if you don’t want your home to be dirty why would you want your carpets to be dirty? Isn’t it annoying to wake up and have these ugly stains staring you in the face every morning? Stains don’t have to come from drink spills or food. They easily come from walking on the carpet. Have your carpets cleaned today with Beyer Carpet Cleaning. They can remove almost anything that is in your carpets. Carpet cleaning is essential to having a clean home for you and your family to live in. So if want to live in a happy, healthy, clean home give Beyer Carpet Cleaning a call (210)723-4392 or visithttps://www.beyercarpetcleaning.com/ to schedule your appointment. Read this article from CBS NEW York News on 3 health benefits to carpet cleaning.